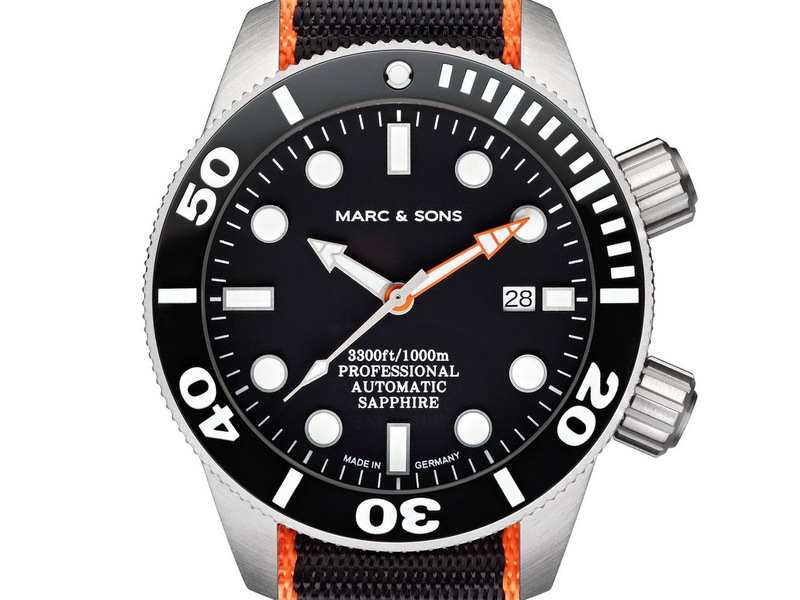 This is the Marc & Sons Professional Diver Watch Series MSD-028 which is currently available with 8 different styles – however it will soon be configurable à la H2O Watches offering a several dial options that will even let you choose which lume you like best. 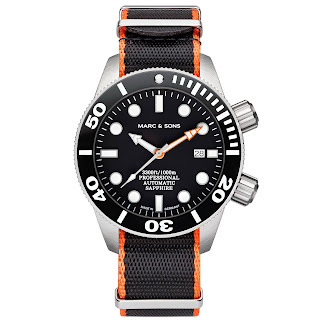 I mocked up the one down the bottom with Old Tritium-style lume and the leather NATO to give you an idea. 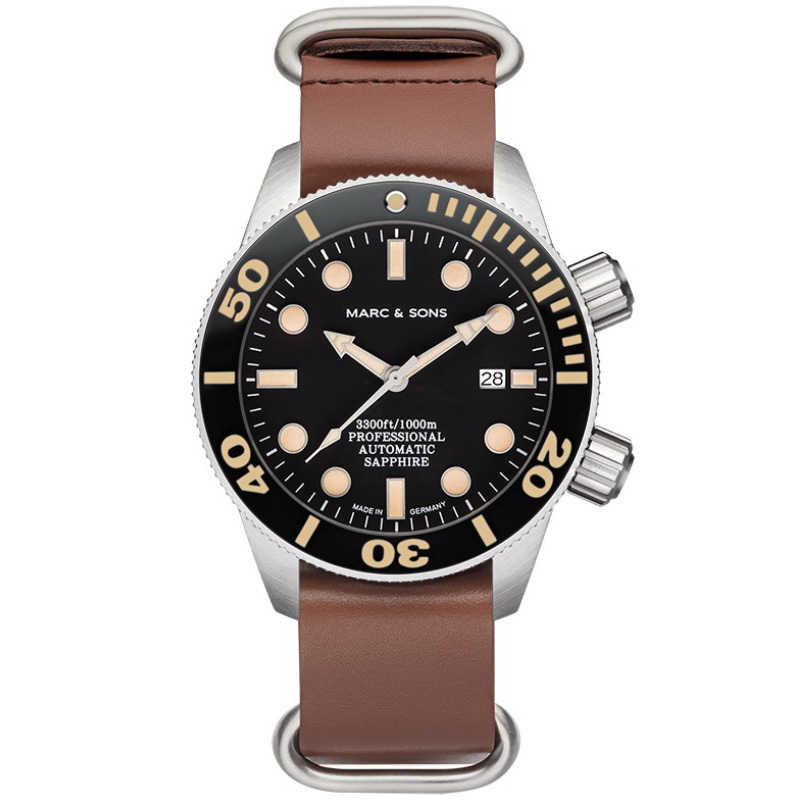 Otherwise the MSD-028 series is a pretty versatile range of professional diver watches. 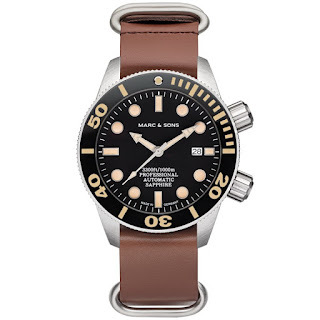 I quite like the oversized dual-crown set-up and what you can’t see here is the lovely bezel height and the rows of serrated bezel teeth wrapped around it – pretty cool. It 46mm case is equipped with an anti-reflective Sapphire crystal as well as a Helium Escape Valve and is pressure tested up to 100 ATM. The unidirectional rotating bezel has a black ceramic inlay. 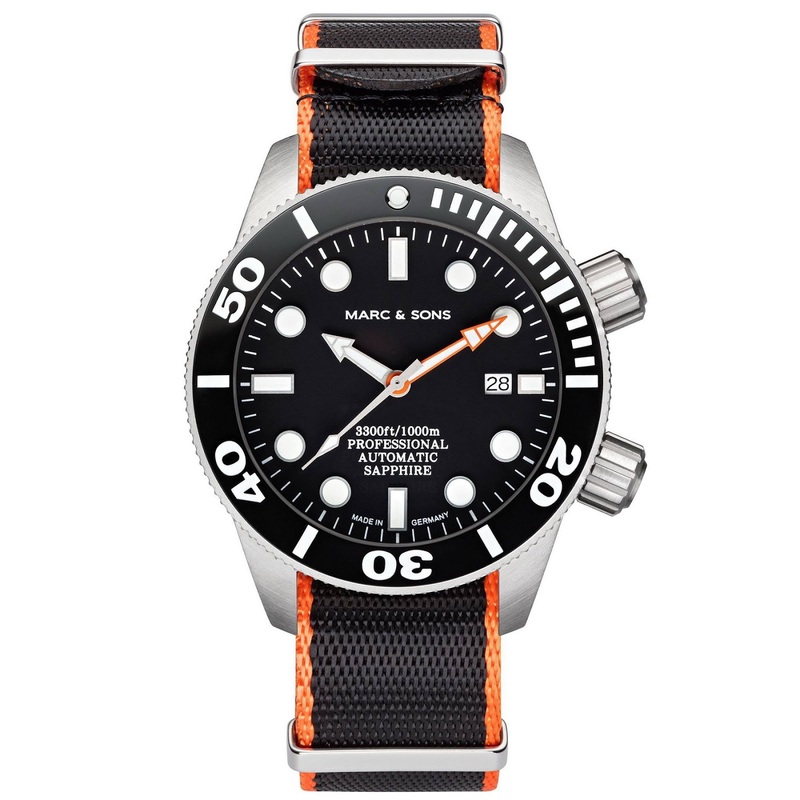 The watch is powered by an NH35 automatic movement from Seiko. 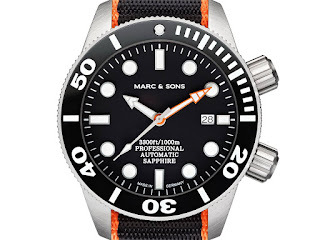 Its dial (not shown here) is in blue-black with a color gradient and luminous markers. Price is around 320euro.